Estimating building costs can be a bit of a challenge, however if you are willing to do a little research and follow a few basic guidelines you can get a fairly accurate idea of your particular home building costs. There are numerous home building cost estimators on websites, including a few on HomeAdditionPlus.com, and they can provide some reasonably accurate estimates, however for more precise home building estimates you really need to look locally for obtaining your best estimates. Start by understanding the real estate market conditions in your local area. In particular, find out what the average selling price is for new homes in your area. In addition, find out the cost of the typical building lot in your area. Once you have these basic pieces of information you can then begin estimating building costs for your home construction project. Using the sale price on a newly constructed home with similar quality and features that you want to achieve in your home construction project, first subtract the market cost of the land from the sale price of the new home. This will leave you with the actual cost of construction of the home. Next, divide the actual cost of constructing the home by the finished square footage of the home. This should result in a cost per square foot for construction. With cost per square foot calculated, you now have a local and accurate metric for estimating building costs for your home building project. To estimate your building costs, simply multiply the cost per square foot you just calculated by the square footage of your home building project. To obtain specific costs for each segment of your home construction project, e.g. framing, roofing, electric, plumbing, insulation, drywall, finish carpentry, etc. you will need to request for bids from the various contractors. I always suggest getting 2 to 3 bids for each segment of the home building project so that you can get some price comparisons for each segment of the project. Once you have all the cost estimate bids from the various contractors you can select your preferred ones and then role them up to estimate your building costs. The total cost of your new home construction project on a cost per square foot basis should be very similar to the cost per square foot you calculated earlier. If it is higher, then you may want to go back and press your contractors on why their particular cost estimates were so high. In some cases they may have legitimate reasons, and in other cases they maybe just trying to take advantage of your limited home construction project management experience. To help in soliciting contractor bids see my Home Addition Bid Sheets. They will help you through the process of obtaining and sifting through contractor bids so that you hire the right contractor(s) for your home building project. 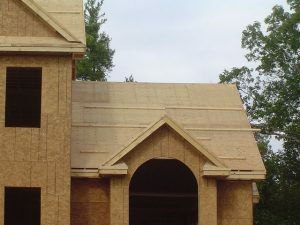 For more help on building a new custom home, see HomeAdditionPlus.com’s New Home Construction Bid Sheet. The New Home Construction Bid Sheet provides you with the knowledge on how to plan a custom home building project, and what to look for when hiring contractors for your new home construction. It also includes a detailed cost breakdown table and spreadsheet for estimating your own new home construction building costs.